I have used both SNP calling algorithms HaplotyeCaller and UnifiedGenotype Caller to call SNPs on our data. When looked up the known SNPs on IGV that were not called by either of the tools, it appears that only one of the reads has an indel, while the other reads all show the SNP (Please see the image attached). 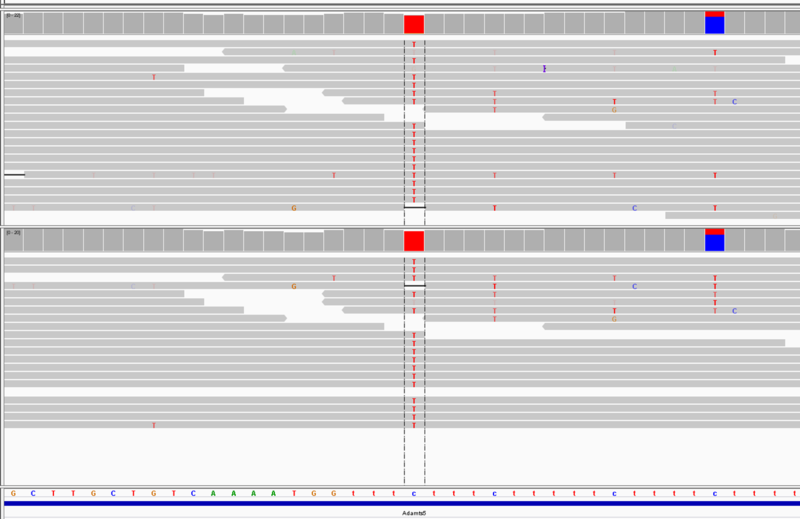 I have noticed this in quite a few cases of known SNPs. Can you suggest if I am missing any flag here? Have a look at the Common Problems documentation in the Guide section. You will find your answer there.